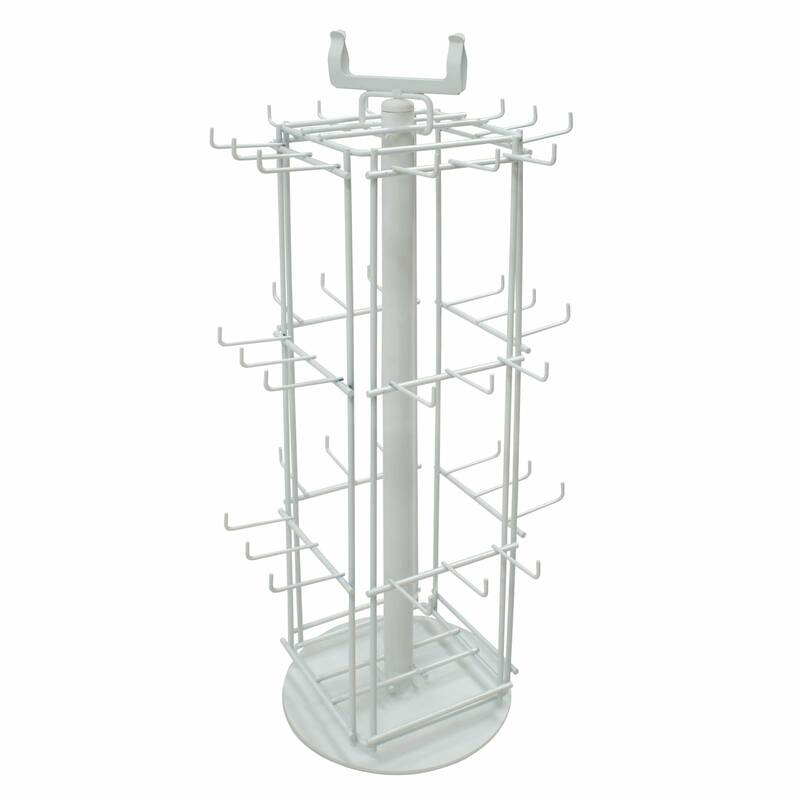 This is an ideal stand for displaying keyrings, bookmarks or any small carded items. Hooks are arranged on 4 sides, each side has 3 rows of 3 hooks. Each hook is 55mm long. The vertical pitch is 160mm and the horizontal pitch is 48mm. The overall height is 605mm and the width and depth is 275mm.